Endogenous interferons and interleukins, major protagonists of our defense system, act in a concerted way within the immune system to defend against, contain or eliminate toxic or invasive agents. Because of their toxic effects several containment mechanisms, such as short half-life, downregulation and neutralization factors ensure that their action is strictly localized. Various diseases are accompanied by acute systemic or chronic-relapsing symptoms of inflammation. These are a sign of containement failure, i.e. dysregulation of interleukin production. During the past few years our understanding of the cellular and molecular mechanisms of immune regulation in allergy, chronic inflammatory and autoimmune diseases, tumor development, and chronic infections has grown at a rapid pace. Better insight into the functions, reciprocal regulation and antagonism of interleukins, interferons and other cytokines offer opportunities for novel treatment approaches. In the era of biological response modifier (BRM) development, targeting these molecules or their receptors appears particularly promising. Because of their toxicity, systemically administered interferons and interleukins have a number of unwanted effects. The main effort in research for their therapeutic use is therefore directed towards mitigating their toxic effects and improving their pharmacokinetic properties. These efforts have led to the development of anti-interleukin monoclonal antibodies or receptor antagonists for therapeutic use in chronic inflammatory diseases where interleukin overproduction is the culprit. 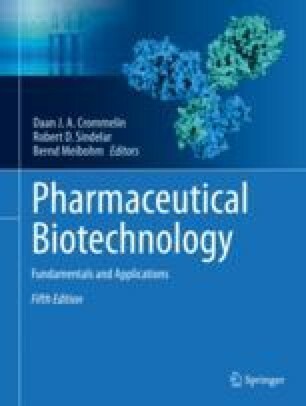 On the other hand, protein engineering of interferons or therapeutic interleukins has led to improved pharmacological properties with subsequent reduction of toxicity. Other research efforts have resulted in engineered fusion protein molecules with target specificity as well as an improved pharmacologic profile.